In Lviv kindergarten is established the first "smart" sensor to make easier observing a proper level of humidity, light, and temperature in educational institutions. You could easily see this information on a special web page, through sensors installed in the room. The first such device is already installed in THE Lviv kindergarten №159. The «AirQ» sensor helps to determine the optimal environment for children. After receiving information about the indicators on the premises, schools will be able to optimize their work and create WHAT conditions for kids, so they can comfortably relax, learn and grow. Lviv IT company «KindGeek» has developed that devise, their employees involved to create a project in Lviv called "smart district". In cooperation with NGO "Naukova" device now is in free testing based on the Lviv kindergarten №159. In order to install the sensor in the room we needed an outlet and Wi-Fi point. "Eventually, we plan to add solar panels which will power the sensor during a day and charge the battery, so it will be completely autonomous" - said Vyacheslav Dolgov, one of the developers of the "AirQ" sensor at «KindGeek». Maximum area for 1 sensor is just - 30 square meters, so developers advised installing several devices in one room. Users could view data on humidity, light, and temperature in the room on a special web page. "Our plans are to create a system, that helps to monitor and improve education institutes. We would like to add the CO2 sensor, noise sensor, which will enable to monitor choldrens sleep whether children actually sleep in the kindergarten and in what exact period. 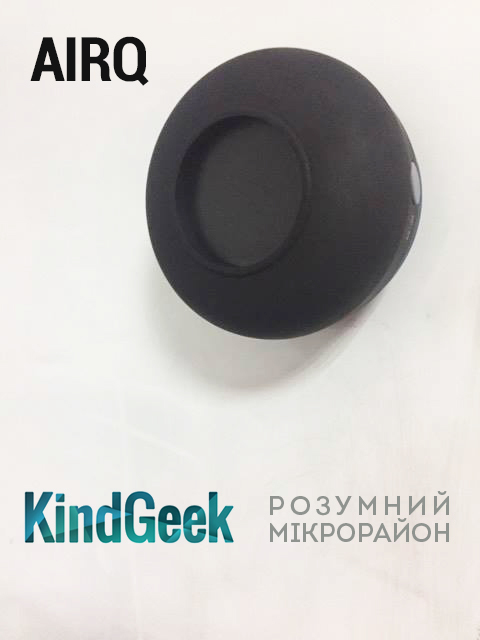 Also now in development are IR cameras, which will help you keep tracking kids during the sleep and give AN information about the temperature and emotional state of each, "- said Anton Skrypnyk, the co-founder of "KindGeek". The developers claim that the device is completely safe. Sensor cost not so much, but now, the final price has not defined yet.